Golf Warm Up- Golf Exercises Performed Right!! Are you confident and prepared to swing the club from first tee? Is your entire body ready to contribute to a fluid golf swing? Do you have positive thoughts of striking your first drive down the middle of the fairway? Players of all skill levels that have incorporated 5 Minutes to Tee-Time™ as their pre-round warm-up answer YES to the questions above. It is critical to start your golf round with confidence and implementing the right, golf specific, pre-round warm-up can make all the difference in the world. The story begins with a golfer scrambling into the parking lot with their golf bag strapped over their shoulder, racing toward the club house/pro shop. After checking in and paying for the round, they begin to lace up their shoes (mid-hop) and dash toward the starter. Our subject may have a few minutes to roll putts on the practice green that parallels the 1st tee box. Depending on the order of the foursome (chosen by four tee’s tossed into the air), there may be and additional minute (or two) to perform some awkward (and in some cases) dangerous movements, trying to “warm-up.” Fast forward to the inevitable, which can be defined as the slice, the duck hook or the infamous worm burner. All scenarios leading to the same reaction, “here we go again.” The same scenario repeats itself over the next few holes and our subject is +5 for the round and completely frustrated. He/she then “presses” placing an extraordinary amount of pressure to make up those strokes given away early in the round. In today’s busy world, most amateur golfers do not have extra time to hit balls on the driving range or properly stretch/warm-up prior to the round. With 5 Minutes to Tee-Time™ routine, players of all levels can be confident that they are ready to swing the club from the first tee box. 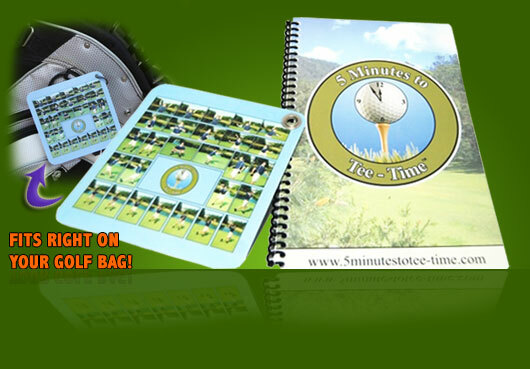 5 Minutes to Tee-Time™ is not just a list of recommended stretches, its structured golf warm-up that prepares your entire body to immediate contribute to the golf swing. 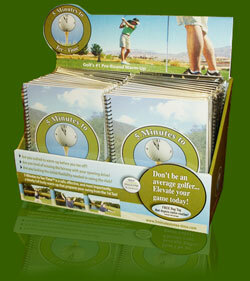 If you are ready to swing the club from the first tee, you’ll score better making the golf round much more enjoyable. Here is what they're saying about Golf Warm-up. "I love the feeling of being prepared to swing the club from the first tee-box, my confidence level has increased dramatically because I know I am ready to swing the club." 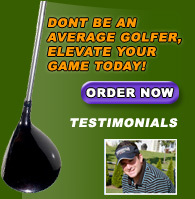 © 2010 - GolfWarm-Up.com all rights reserved!